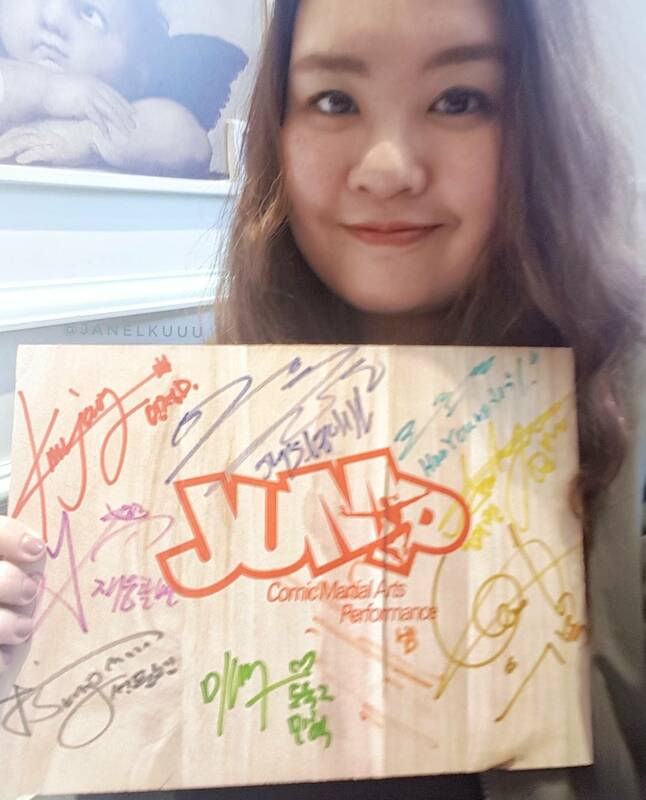 [Sponsored / Trazy.com] Jumpin' for Joy at Korea's Popular Jump Show! 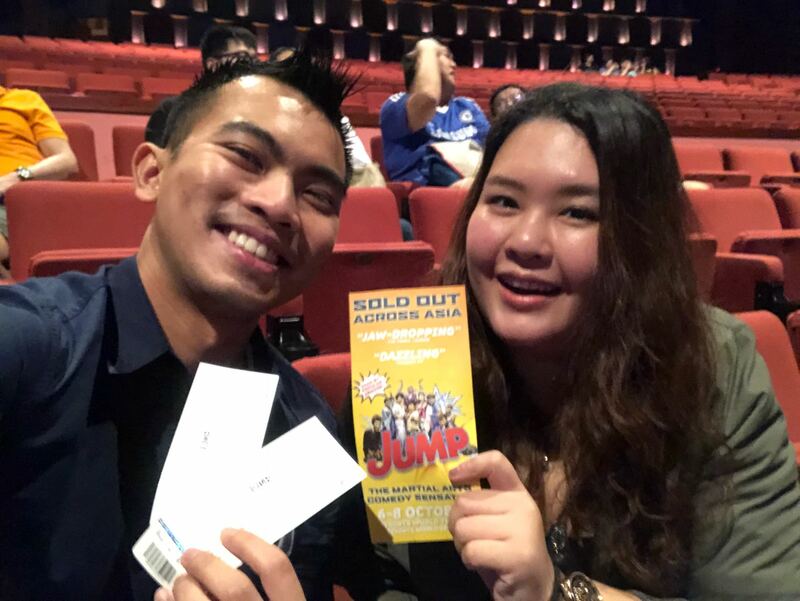 Earlier today, I went for Korea's popular Jump Show at the Resorts World Sentosa Theatres, sponsored by Trazy.com, an English friendly tour booking website! I've always wanted to catch this in Korea but due to my packed travelling schedule, I was unable to go there. So glad to be able to get a chance to catch this in Singapore instead! The tickets were kindly provided by Trazy, and we had a smashing good time at the theatre! But those who missed it and are going to Seoul, please take note! "Set in an average Korean home, JUMP is centered round a typical but dramatically agile Korean family. Each member of the family is a martial arts expert and loves to compete for their skills among themselves. The plot thickens when two burglars break into the house in the middle of night and a mighty battle takes place when the family discovers the intruders." Firstly, to put your language concerns at rest, no need to fear because this is a non-verbal performance! No need for words, their body gags, comedic actions, coupled with sound effects and music will still have you rolling in stitches. This performance is a perfect marriage of distinctive Korean dance, culture, martial arts (like taekwondo and taekkyeon) and most of all you do not require any Korean language skills to enjoy it! Audiences get sucked into the performance without having to understand a single word of Korean. NICE. I put in a quick trailer of the performance here for your viewing. This performance, birthed in year 2003, has lasted for 14 years and is still running! That should tell you something about this show, right? 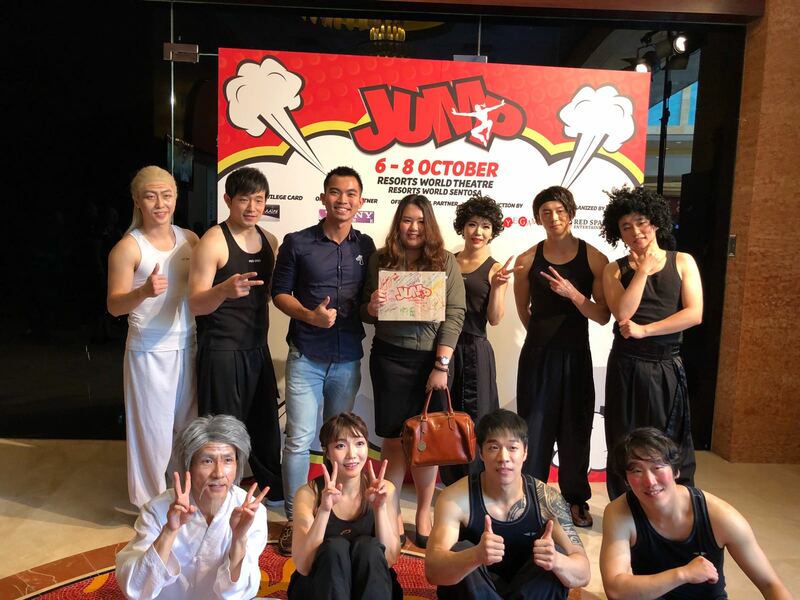 It impressed not only Korean audiences, but went on to be showcased on international platforms including the Edinburgh Fringe Festival, London’s west end and New York’s off-Broadway! Here's a chance for you to get a 35% if you purchase the tickets via Trazy's website. Click here to get 35% off Jump tickets in Seoul when you visit!